B log SEO, what is it, how do you do it, why is it important? I know the list of such questions is endless-I am here to answer some of those. A study conducted by Search Engine Watch found out that results on the first position of search engine result page (SERP) get 33% clicks and search traffic, number two gets 17% and three at least 11%. Would you not want your blog post to rank in the first position of SERP? If it did your blog traffic and click-through rates (CTR) would increase by 33%. I know you want such free organic traffic, but you have to do something-optimize blog posts for SEO and learn how to write SEO friendly blog posts. Most bloggers, especially beginners ignore SEO because they assume it is complicated or most times it can be discouraging because it takes sometime before you begin to see SEO benefits. Nevertheless, if you remain consistent in using these 8 tips on how to optimize your blog posts for SEO search engines will reward you in the long run with free organic traffic. Follow this link and learn how to start a money-making blog today, if you do not have one yet. Search engine optimization (SEO) is the process of polishing and perfecting several elements on your website/blog to make it more crawlable by search engines and user-friendly. SEO is divided into two main categories: on page SEO and off page SEO. On page SEO: All activities you will perform internally on your pages and posts to make them more search engine friendly, such as the use of keywords and producing great content among others. Off page SEO: Are those external factors which search engines use to measure the worthiness of your blog, such as trust, authority, backlinks and social signals among others. Keywords are word, phrases or terms which people enter in search engines to find information. For example, someone using Google to find information on weight loss is likely to use the following search terms; weight loss tips, weight loss diet and weight loss exercises among others. Thus, keywords can be broad topics/subjects, such as health or specific search phrases, such as fitness for pregnant women. This explains why keywords can be classified into three categories: head, body and long tail. Important: As a blogger, especially if your blog is relatively new, you should focus on using long tail keywords because they have low competition, high CTR and represent searchers intent. Therefore, learning how to write SEO friendly blog posts begins with knowing how to find and use long tail keywords the right way in your posts. Now that you know that one tip on how to optimize blog posts for SEO is to use long tail keywords, the question is how do you find them? There are several tools you can use to find long tail keywords and below is a list of the ones I use. Where should you use long tail keywords in a blog post? Internal links: These are hyperlinks pointing back to relevant content within the same domain. For instance, if I am writing a new blog post on keyword research, I can link to a related article on keyword research tools written earlier. External/outbound links: These are links which you receive from other domains who refer back to content on your blog. For example, if another blogger adds a link to this post in their content, then that will be an external link pointing back to my domain. Internal linking helps search engines and users to navigate through your blog. Organized and easy site architecture makes your blog user-friendly and crawlable. Internal linking spreads SEO benefits to all pages/posts in your blog. External links, especially those from domains with high page and domain authority helps you to build credibility and trust. External links from other sites encourage their audience to participate and engage with your content. There are many SEO plugins you can use to actualize this tip on how to optimize blog posts for SEO, but my favorite is Yoast SEO. a) It will help you edit title tags, Meta descriptions, URL slug and focus keyword for specific posts/pages. b) It will help you to perform page, readability and keyword analysis of your pages and posts. c) Create XML sitemaps you can manage and submit to webmaster tools. d) Help you to manage URLs, such as create redirects, canonical URLs to prevent duplicate content and set permalink structure elements among others. e) Manage how your posts will be displayed on social media. See an example below of how you can use this plugin to claim your website on Pinterest. You do not expect search engines to rank your content if it lacks the following characteristics. 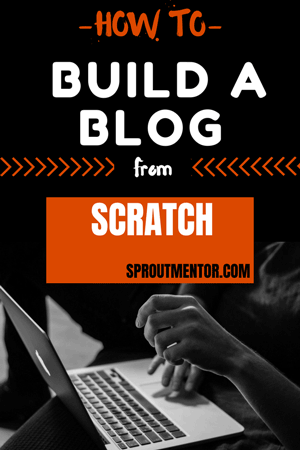 Should be Long form-your blog post should be at least 1000 or more. Useful and relevant-meaning that it should be timely, informative and solves a problem. Readable-use of right font, grammar, line spacing, subheading and other typography and content organization factors. Original and not copied anywhere else. Fresh-you should frequently publish, such as at least three blog posts per week. Has different content formats, such as text, images, video, and audio among others to drive more engagement. No matter how much you optimize individual blog posts, as long as they exist in a poor site, all that is in vain. Slow page speed can be caused by several factors, such as poor web hosting, large images, and code density among others. You can use several tools, such as GTmetrix, Pingdom and Google Page Speed Insights to test if your blog is slow. Therefore, to be on the safer side, your blog should load at a speed of below 30 seconds, if not use this speed optimization guide to improve it. BlueHost, SiteGround and A2Hosting are some of the best web host providers who will give you fast loading servers and other tools. I use SiteGround, and you can find out ten reasons why their hosting is just fantastic. Does your blog layout adjust well to different devices, desktop, mobile, tablets and laptops among others? Remember that all your blog post readers will use different devices to visit your blog post and this is why this tip on how to optimize blog posts is very important. The responsiveness of your theme largely depends on the theme you use. Below are two theme recommendations for WordPress bloggers. The package costs $89 per year and it comes with the following additions. Bloom: A free plugin you can use to create opt-in forms to collect email subscribers. Monarch: A plugin you can use to add social media sharing and follow buttons to your blog. Extra: A famous theme you can use to create newspapers, magazines and other multipurpose publications. The Divi builder: A plugin you can use to build beautiful looking pages and post layouts. This theme can be used alongside the following free options. Sumo: A free plugin you can use to create opt-in forms to collect email subscribers. Social share: A plugin you can use to add social media sharing and follow buttons to your blog. Elementor or beaver page builders: A plugin you can use to build beautiful looking pages and post layouts. 80% of your blog readers will access your post through mobile devices. Moreover, Google and other search engines have rolled out the mobile first index campaign, which prioritizes sites that are mobile friendly. Therefore, you must take care of mobile SEO to boost your blog SEO. A structured site is suitable for usability and crawlability by search engines because it is easy to find information. For example, as a blogger, you should practice excellent uses of post categories and tags in your blog posts. Also, your pages, posts, menus, and widgets should be grouped into related elements and not any random pages. Did you know that blog posts with images get 94% engagement than those without? That is how this tip on how to optimize blog posts for SEO is powerful and vital. Your images must be the right file size and well optimized to load faster. Also, the images must be clear and named title and alt tags. Suggested reading: The complete bloggers guide for optimizing images for the web. How is this a tip for optimizing blog post SEO? This is it, when you mention influencers, whether people or products in the market you increase your chances of earning backlinks from them. 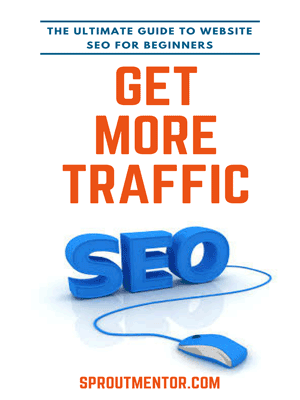 Backlinks are powerful off page SEO signals which will improve your rankings and search traffic. After mentioning influencers, you can go a step further to send them a pitch letting them know that you have a new blog post where you mentioned them, see template below. SEO can be tedious and complicated, especially to new bloggers. The good news is using the right SEO tools can make the process enjoyable and more fruitful. Here is a list of some of the best SEO tools for bloggers. Google webmaster tools: Google console, Google analytics, and Google keyword planner. Keyword research: KW Finder, Long Tail Pro, Keyword Revealer, Jaaxy. Influencer outreach: Buzzstream, Boomerang, and Hunter. SEO Chrome extensions: Keyword everywhere, Check My Links and MozBar among others. T here you go, just one step away from ranking on the first position of SERPs. All you have to do is marry these eight how to optimize blog posts for SEO tips and remain faithful in putting them to work for every single blog post you write. Yes, SEO is not simple neither is it a one-time activity. Nonetheless, the sacrifice is worthwhile in the long run. Four beginner-friendly off page SEO techniques you should care about. How to start a blog and make money with it in 2018. I am happy you loved the article. Wish you all the best.